Tests have commenced which are likely to enable viewers to receive more Freeview channels. The test transmissions, which commenced across parts of NW England at midday, also pave the way for additional services to become available to those who can only receive a limited Freeview channel line-up. The configuration of D3&4, the name given to the multiplex that carries the standard definition broadcast signal of ITV, Channel 4 and Channel 5, is being changed so it can carry up to 12, rather than the current 10 channels. D3&4, alongside the BBC multiplexes, reaches around 98.5% of households, meaning that any extra channels carried following the configuration change will reach viewers who currently can only receive a reduced line-up of Freeview channels, typically those receiving via a relay transmitter. This is because many commercial channels are carried on multiplexes that aren't carried on relays. As part of the tests, a hidden stream is now live carrying ITV3 alongside the broadcast signal of ITV from the Winter Hill transmitter in Lancashire. As a test broadcast, it can't be tuned in on regular Freeview devices. ITV and Freeview haven't confirmed the tests as yet, neither how soon viewers might be able to benefit. Additionally, there is additional capacity for yet another, as yet unidentified service on the same multiplex, indicating a further channel may yet join ITV3 in testing. The test transmissions were reported by an a516digital reader earlier today and verified by the operator of a scanner monitoring transmissions from Winter Hill. Techies can now see the data, which has since been published on the Digital Bitrate site. 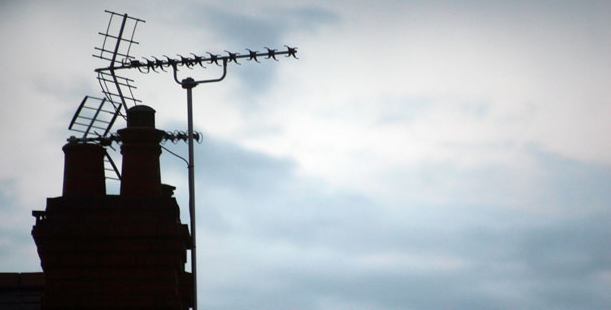 Currently ITV3 is broadcast to around 90% of UK households via the commercial SDN (COM4) multiplex, which is unavailable to viewers in some areas. The only exception are the Channel Islands, where capacity is used to broadcast ITV3 instead of ITV+1. This is the latest in a series of configuration changes to the D3&4 multiplex, following improvements in encoder technology, which allows broadcasters to carry more channels in the same space. The last channel to benefit from such a boost was ITV4, which in August 2015 switched to D3&4 and became universally available on Freeview. Prior to this, in 2013, Film4 was promoted to D3&4. D3&4 broadcasts different regional variants of ITV (and STV) and Channel 4 (advertising regions), so changes are configured on a region-by-region basis, with initial testing enabling checks to ensure that the wider regional roll-out can proceed. Despite Ofcom loosening rules on Freeview picture quality, all services in the test area are still using standard 720x576 SD resolution. For viewers who can already receive ITV3, the change will mean that at a yet-to-be announced date, a retune will be required to continue watching ITV3, but that ITV3's current Freeview capacity can be recycled to provide space for another channel, or allow a reduced-hours channel to extend its time on Freeview. Since this article was published, behind-the-scenes tests have commenced across other parts of the UK.